Our company processes close to 5,000 used bicycles every year. Not every one of these ends up back on the road, but we put a thousand new cyclists on Minneapolis roads every year. We ship a thousand bicycles to Africa every year. Our bicycle fleet is reducing thousands of car miles at the Burning Man festival. We are a company that can brag about reducing carbon dioxide pollution by a million pounds every twelve months. After ten years and tens of thousands of bikes, we have experience with an unbelievable breadth of cycling technology and we love helping our neighbors find just the right bike for their journeys. "I was dating an eBay junkie...." This is the way Seth Stattmiller's entry into the cycling world began. A non-car owner, he was riding a bicycle back then, but that was about it. In 2005 the first bicycle was an impulse buy at a yard sale. Fresh out of business school Seth began buying and selling every bike he could find and surrounding himself with people who actually knew how to fix them. "This was just as CraigsList was taking off around the country and it revealed that the thirst for used bicycles in Minneapolis was almost insatiable." Despite the demand, connecting a rider with just the right used bike is not always easy. Seth started a brick and mortar shop called Re-Cycle to help make these connections. As the business grew it became clear that a tremendous number of bicycles were finding their way to landfills because of the difficulties of selling just one bike. As he became known for his inability to let a good bike go to waste Seth quickly filled up his apartment, "It's true. There were bikes in the bathroom." Recovery Bike Shop started quite by accident. Brent Fuqua, in the midst of operating a successful photography business, performing as a musician, and holding several other jobs, found himself struggling with addiction and watching the pieces come down around him. In 2008 he sought help. While residing at the Progress Valley Men's Center near Lake and Lyndale in Minneapolis, he literally went out to the garage to work on his own bike and think about where his life needed to go. After accepting the fact that he had lost everything he had ever worked for and realizing that his life needed to be restarted from scratch, the defining moment came: "I'm just going to focus right now on taking care of this one bike and do that well. When I am accomplishing that, I will branch out from there." After finishing his own bike, Brent focused on the other bikes at Progress Valley that needed repairs. Some of these were resident's bikes, some were leftovers from residents past. Very quickly Brent found tremendous joy in helping others and watching people ride the bikes he had repaired. Soon people began dropping bikes off, and it wasn't long before there were too many to store at Progress Valley. Brent began selling bicycles on craigslist. In the summer of 2009 Recovery moved to a garage in Uptown and more miracles began to occur. People that had received Brent's help began giving his phone number to their friends. Fixing and selling bikes became a full time job. In the spring of 2010 Brent quit his minimum wage job. Brent's brothers in recovery continued to come by, help out at in the garage, and earn bikes. With the business in full swing as a one man operation, Northeast resident Mike Smeija suggested that Recovery move to a retail space near Central and Lowry. 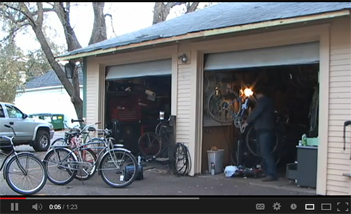 On 1/1/11 Recovery Bike Shop moved into the space in the Eastside Food Co-op's building. Amazingly, with no money, Recovery had a storefront. Then another miracle happened. Brent and Seth had become friends in the early days of Recovery Bike Shop. They had stayed in touch and swapped stories. Re-Cycle was the main source of parts for Recovery, being just a few blocks away from the garage. In less than a week Re-Cycle stepped in with the extra resources Recovery needed to launch that spring. Seth's knowledge of operating a retail bike shop and Brent's experience caring for everyone who entered the shop proved to be a successful combination. In the summer of 2013 the Northeast Investment Co-op helped Recovery Bike Shop purchase a 15,000 square foot building near the corner of Central and Lowry. 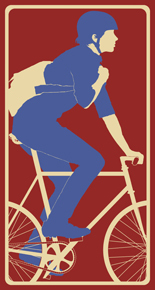 In the fall of 2014, Re-Cycle was closed and all of our efforts focused on Recovery Bike Shop. We've come a long way since then, but our mission remains the same, "Delivering real transportation to real people."